Castellare di Castellina was born in 1968 from the consolidation of five farms. A good exposure to the sun, a good drain of the water, a mixed ground of calcareous marls, galestro and little clay give wines both red and white, which are very well structured, intense and proper for a long ageing in bottle. Poderi Castellare di Castellina is a company of about 80 hectares in the heart of the Chianti Classico area, close to the village of Castellina in Chianti. 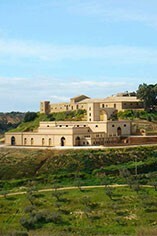 The hectares of vineyard are almost 33, located on the hills of a natural amphitheatre facing southeast. The production is of about 250.000 bottles of wine per year. To a middle altitude of 370 m. above sea level the vineyards have an age between 5 and 30 years. Besides the vineyards there are about 12 hectares of olive-groves and 15 hectares with a mixed cultivation. 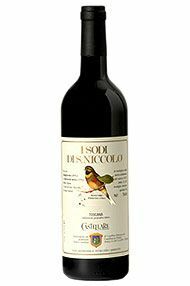 The 2006 I Sodi di San Niccolo is shaping up to be both one of the wines of the vintage and one of the great all-time versions of this Tuscan thoroughbred. Rich, explosive and totally compelling, the 2006 boasts superb intensity and dazzling overall balance. The 2006 is every bit as promising as it was when it was first released about two years ago.